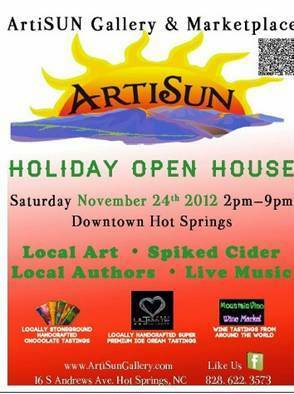 Christy and I will be at ArtiSUN Gallery & Marketplace in Hot Springs tomorrow, November 24, for their Holiday Open House. Come join us and get a head start on your holiday shopping. ArtiSUN carries a variety of art, crafts, and books, all by local artists. You’re sure to find something for everyone on your list!